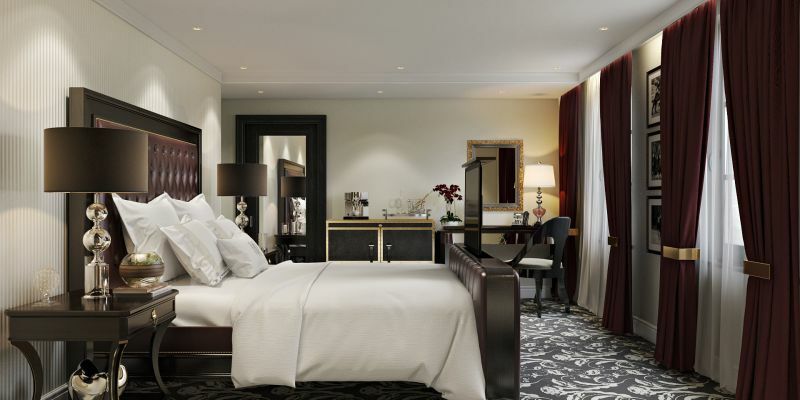 Superior King Rooms offer the perfect blend of luxury and comfort. Featuring one king size bed with a lush featherbed mattress, allowing you to enjoy a night of blissful sleep. Enjoy these convenient in-room amenities: small table with two chairs, a multi-media charging station built into your nightstand, and an innovative remote-controlled 43” HDTV tucked inside the footboard.